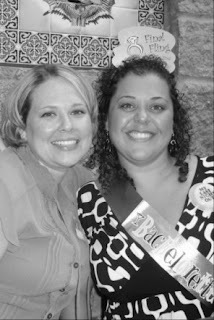 This past weekend my friend from work, Carin got married. 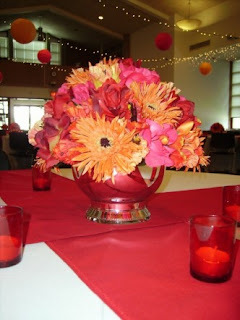 I attended her Bachelorette party, help decorate her reception hall and enjoyed the Saturday evening wedding. Carin looked beautiful and I have never seen her so happy! 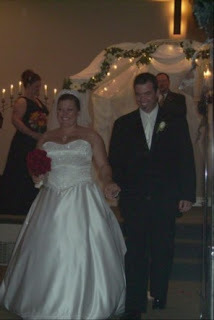 Congrats Carin and Michael. Enjoy Mexico! 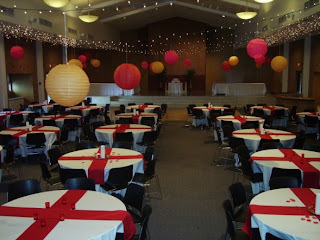 The Beautiful Reception Hall (which I spent 5 hours decorating). Wow! You all did a great job, it turned out sooo beautiful! Have a great time on your cruise Emily. That turned out awesome, Emily! WOW! Carin- you are so sweet! I am so glad you enjoyed your reception hall...and dont worry about your family! I wanted you to be happy!